The bio-data of a patient, his heartbeat and breathing, is processed live on stage into sound and image via programming. Highlighs of the simulated day in hospital are for example the daily medication, a physiotherapy session and the operation of a guitar. 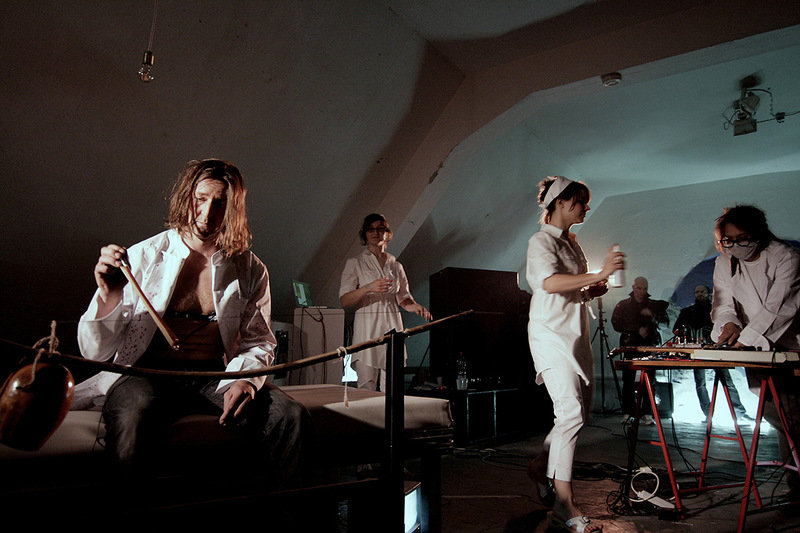 The performance plays with the medicinal aesthetic and the idea of the fully measurable human. With Niel Mitra and Wolf Steiling. Technics: Chaos-Boards, carbon filament bulb to visualise heart frequency via DMX-signal, oscilloscope programmed with Pure Data.